This is a fun topic. 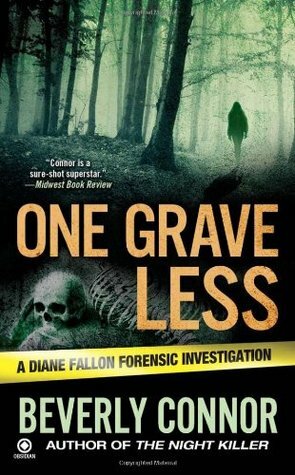 One Grave Less certainly looks interesting based on the cover, and I've heard good things about Goodnight June. In fact I might read it even though it's not my usual kind of read- nice to reminded of it. It does sound like a very cozy feel good book. I loved Goodnight June! We'd been reading lots of Margaret Wise Brown books when I read it and it was so fun to see the tie ins. 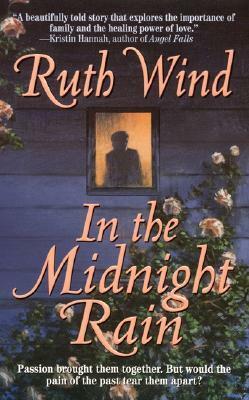 I read Ruth Wind's book years ago. I forgot all about it. This is a great topic. It was so good! I really enjoyed it. In the Midnight Rain! Still my favorite of all time. In the Midnight Rain was totally your doing! The Man Who Loved Books Too Much was so good!! The only one of these that I've read is THE CRYING CHILD and I love that book too. Well, I have many Barbara Michaels books that I love. I'll do a 'kay's favorites' on her later this year. Anyway, I'm interested in several others that you mention and will take a look around for them. 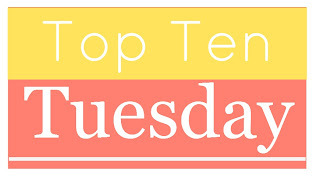 This is a great topic and allows people to really promote books that they love. Good job, Katherine! Oh I can't wait for that post. I'm seriously fighting the urge to do a massive Barbara Michaels reread! Holy cow, I haven't read ANY OF THESE! That's terrible. Not even the short stories by L.M. Montgomery. Read the Montgomery short stories! They're so good! The only I read is One Grave Less a long time ago. Hmm, I should check out the rest of the series again. The Crying Child should be good for me and I just put The Man Who Loved Books Too Much on my list from another blog list. Good titles, Katherine! I love Barbara Michaels! Her books are fun and spooky. I think you'll love The Man Who Loved Books Too Much! It was fascinating. I actually haven't read any of these!! I will have to change that! Great list! I think you'll enjoy some of these! LM Montgomery short stories - the best! I wanted to read Goodnight June so badly! I totally forgot about that. Maybe I'll make that my summer book club book - do you think that would be a good discussion book? I have to look your other books up! I think it would. There are a few issues that could be discussed and there's all the children's book references that would be fun to talk about. Goodnight June and The Four Story Mistake are wonderful! I think you would love the Melendys! Okay, I need to find my copy of The Crying Child and finally read it! I love this one. I love the atmosphere. I love this topic too. I could go on for awhile. :-) I enjoyed reading your list, Katherine. I really need to get around to reading Goodnight, June. And I'm glad to see The Man Who Loved Books Too Much made your list too! Such a good book. Yes! I was so excited to see The Man Who Loved Books Too Much on your list! Goodnight June is so good! I think you'd love it. Oh I hope you find some you like! Yes - the Melendys!! I loved, loved, LOVED The Saturdays, The Four-Story Mistake and Then There Were Five as a child, as a teen, and several times as an adult. Wonderful, wonderful stories. So wonderful! I love the Goneaway Lake books too. They're not quite as well done but they're such fun. 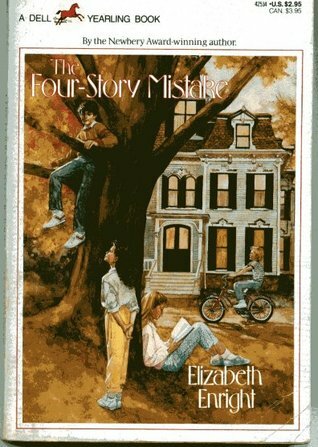 The Four Story Mistake!Yes, yes, loved that series, am trying to get my children to read some of them too, but they are not so keen. What a lovely topic! I haven't read a single book on your list! I think that One Grave Less really sounds like my kind of book. Great picks! Oh, yes, The Man Who Loved Books Too Much! It was one of the first books I ever got from a publisher when I started blogging and I knew then this blogging thing was going to be fun with finding all kinds of books I never would have known about. I read The Man Who Loved Books Too Much ages ago and really liked it! I've not read any of them :( In the Midnight Rain sounds really good!